After two successful workshops of “INTRO to TEACHING DANCE” in January and February of this year, Tjarda now offers a TEACHER TRAINING LAB to deepen our skills. To join these workshops, you need to have followed the INTRO as we build from there. Are you interested, but you haven’t taken the INTRO? Please send an email to see if Tjarda can organize another INTRO in the near future, if there are enough people interested for this. Tjarda is a thoughtful and genuine dancer and a third generation teacher following her grandfather and father. She is a Certified Movement Analyst in the Laban/Bartenieff Movement System and uses Laban Movement Analysis as a clear framework for teaching form and quality of movement. She holds certifications for teaching dance and dance therapy and still studies continuously to broaden her education. This TEACHER TRAINING LAB is specially designed for upcoming teachers and will provide lots of information where we will dive into several subjects such as teaching methods & skills, movement fundamentals, analyzing and deconstructing movement, philosophy, vision, dynamics and more with lots of room for discussion. You will also be handed out some fun tools & tricks to ignite your creativity. For students that took part in the “INTRO to TEACHING DANCE” workshops. 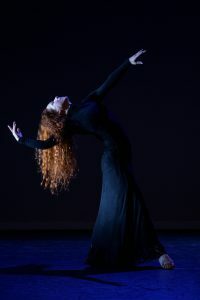 After a successful first round of “INTRO to TEACHING DANCE” in January, Tjarda offers the same workshop again in February. After these INTRO-workshops we will continue with a new series to deepen our skills. To join these workshops, you need to have followed the INTRO as we build from there. Tjarda is a thoughtful and genuine dancer and a third generation teacher following her grandfather and father. She is a Certified Movement Analyst in the Laban/Bartenieff Movement System and uses Laban Movement Analysis as a clear framework for teaching form and quality of movement. She holds certifications for teaching dance and dance therapy and still studies continuously to broaden her education. This workshop is specially designed for upcoming teachers and will provide lots of information where we will dive into several subjects such as teaching methods & skills, movement fundamentals, analyzing and deconstructing movement, philosophy, vision, dynamics and more with lots of room for discussion. You will also be handed out some fun tools & tricks to ignite your creativity. For upcoming teachers or teachers with 1 to 2 year experience in any style of (fusion) bellydance or if you have more experience and just interested in Tjarda’s approach, feel free to join.